November 15, 2016—The following is a transcript of a presentation entitled Buying Japanese real estate: An international comparison that was delivered to the Japan-America Real Estate Coalition Office (JARECO) in Tokyo on September 13, 2016. A video of the presentation is available here. For more information, see Landed Japan. You can also subscribe to the monthly Landed Newsletter. In this presentation, I’m going to highlight some of the ways that real estate practices in Japan differ from those in other countries. I’ll cover foreign ownership restrictions, how real estate is listed and sold, legal and registration systems, zoning, mortgages, insurance and taxes. Let’s start with who can own real estate in Japan, and what kinds of property they can own. Can foreigners own real estate in Japan? Japan allows foreign ownership of real estate. Non-Japanese people can own land in Japan and they can own new and existing buildings. 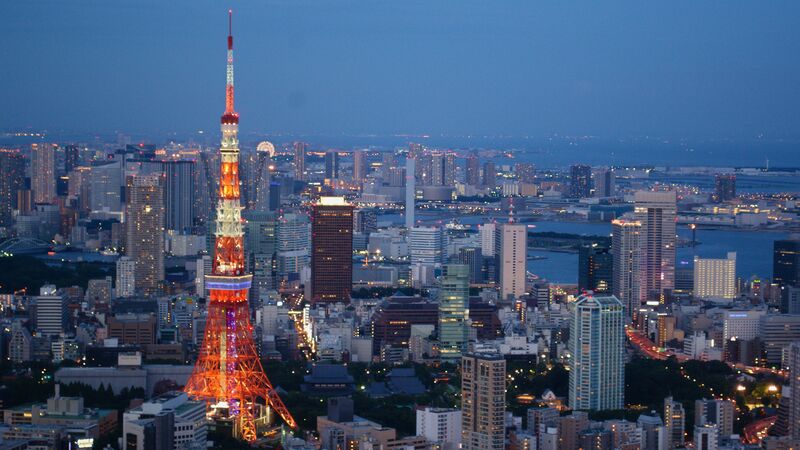 Both Japanese and foreign companies can own land and buildings in Japan, as can trusts. In Japan, houses and apartments are often built on land that is held under a long-term lease. Land in Japan can be owned by an individual, a company or by a Buddhist temple or a Shinto shrine. Homes built on leased land can often be purchased at a discount. That’s because all you are are buying is the structure and not the land underneath. And you may have to pay to have the building demolished at the end of the lease. Contrast this with China, where all land is owned—and can only be owned—by the state. The Chinese government leases land to users for 30, 40 or 70 years, depending on what the land is used for. Land is returned to the government at the end of the lease and the state keeps any improvements, like buildings, that you make. This is one reason why Chinese investors are buying Japanese real estate. In China, citizens can own buildings. But there are city level restrictions on how many homes Chinese citizens can own, and on who can own them. Restrictions are particularly tight in the desirable Tier 1 cities: Beijing, Guangzhou, Shanghai and Shenzhen. Foreigners can only buy a home if they have lived in China legally—with a proper work visa or study visa—for one year. As a foreign owner, only you can use the property. You can’t rent your home out, like you can in Japan. That’s another reason why Japanese property is attractive to Chinese buyers. Looking around Asia, Hong Kong, Singapore and South Korea allow some degree of foreign ownership. But most Asian jurisdictions are like Indonesia, which makes it very difficult for non-citizens to own any real estate. In Thailand for instance, there are limits on the percentage of a condominium’s units that can be owned by foreigners. And as the case of the Kidman Ranch illustrates, Australia has become sensitive about foreign ownership. Australia forbids foreigners from buying existing homes and has begun to unwind transactions and prosecute agents who sell these homes. So where can you find real estate listings and pricing information in Japan? When you search for a property to buy or rent in Japan, you consult a magazine, a listing website or your real estate agent’s shop window. Many of these listings are powered by the Real Estate Information Network System, or REINS, which is a service that is only available to real estate agents. Listings in Japan are all in Japanese, but they are easy to figure out when you learn the pattern. That’s a big difference with Canada and the United States, which have the Multiple Listing Service, which is a centralized online service that shows almost all of the properties that are available in a given location. The United States also has websites like Zillow, which advertise homes for sale. These sites also provide data about home prices in a given neighborhood, price trends over time and the estimated selling price of your home. In Japan, professional appraisal services are available, but this is considerably more complicated and expensive than browsing prices on a website. There are a range of companies that are looking to modernize Japan’s real estate listings and data systems, which will make it easier for foreigners and locals buying Japanese real estate. This lack of transparency also extends to ownership information. In Hong Kong, for example, you can buy an abstract for a piece of property from the Land Registry. For a few dollars, you can learn who owns the property, when they purchased it and how much they paid. The abstract also lists outstanding mortgages and government orders for emergency repairs. In Singapore, the government has a site called MyProperty where homeowners can see their title documents and boundary plans free of charge. In Japan, you will get some of this information from your real estate agent. Now let’s talk about legal issues. Many parts of the former British Empire, such as the United States, Canada, Australia, New Zealand, Singapore and Hong Kong, use common law. In common law countries, judges’ decisions are based on the precedents set by other judges. Most of Europe and South America uses civil law, where judges use a written body of laws to decide cases. Japan has a hybrid system that combines civil law and customary law. Black’s Law Dictionary defines customary law as: “customs that are accepted as legal requirements or obligatory rules of conduct.” This combination of civil and customary law makes the Japanese legal environment unique, especially when it comes to things like tenants’ rights. Another important difference is in the way that sale and purchase agreements are structured. In the West, S&P agreements are usually long, complex documents that cover almost every eventuality. In Japan, the S&P agreement is short, standard form that covers the basics, such as a description of the property, the amount of the sale, the names of the vendor and buyer, the logistics for the handover, and any special terms. In the West, an S&P agreement can easily run 20 or more pages. In Japan, this information is covered in the explanation of important matters, which is read out loud to the buyer by the real estate agent. It can take as little as 30 minutes to recite the explanation of important matters. Complex transactions can take much longer. Japan is a non-litigious society, and lawyers play a minor part in most home purchases. In Japan, the judicial scrivener’s role is similar to that of the notary in a civil law country. The judicial scrivener ensures that the paperwork is correctly executed, the title is transferred and the purchase is properly registered with the land registry. Japan uses a deeds registration system, in which buildings and land are registered as separate entities. In a deeds system, there is no guarantee that a property’s title is without flaws, such as an incorrect land boundary, a lost document or a missing signature. Hong Kong and most of the United States uses the deeds system. But some Canadian provinces, as well as Australia, Iran, New Zealand, Singapore and other jurisdictions use the Torrens system. When a property has been entered into the registry in the Torrens system, title is assumed to be perfect. In the Torrens system, title documents don’t have to be verified every time there is a transaction. Buyers and sellers like the Torrens system because allows sales to be executed quickly. In some countries using Torrens system, title can be transferred in a matter of minutes, versus three to four weeks in Japan. It’s worth noting that all of the documents for the sale and purchase of property in Japan will be in Japanese. In general, sale-related documents that are translated into English are for reference purposes and are not legally enforceable. That is another difference from Hong Kong, where Chinese and English are official languages, and the English version is often the controlling one. Another important difference is in the way homes are measured. In Japan, the salable area is measured from halfway inside the wall. So an 800-square-foot apartment in Japan actually has 800 usable square feet of space. Some places, like Hong Kong, include common areas like lobbies, elevator shafts and clubhouses in the calculation of salable area. In Australia, car parking spaces have been included. Land zoning in Japan covers residential, commercial and industrial uses. But zoning regulations in Japan were introduced after many neighborhoods were established and mixed uses were common. Kyoto’s Machiya shop-houses—with retail space in the front and a dwelling in the rear—are a prime example of this approach. Japan’s industrialization saw factories and other industrial facilities built all over the country, sometimes in close proximity to residential areas. This site in Nerima-ku in northern Tokyo is a classic example. A residential neighborhood is less than 200 meters from a storage facility operated by Tokyo Gas. The facility has six of these storage tanks, each of which is about 30 meters in diameter. This is not unique to Tokyo—I have seen similar storage facilities in near residential areas in Osaka and Kobe. One of Japan’s most successful examples of zoning is the notorious Kabukicho red-light district in Tokyo, which was rebuilt as an entertainment zone after WW II. Japan’s urban planning may seem random, but it’s a major improvement on other parts of Asia. For instance, this urban village is in the center of Guangzhou, China, an otherwise modern city. And while Japanese and Chinese urban planners may have different visions, Chinese and Japanese buyers share a strong preference for new homes. That’s rational for several reasons. First, over the past couple of years, the Japanese government has encouraged the creation of “long-life” houses and apartments that can be renovated and updated. In addition to having high-quality design and construction, newer buildings are more environmentally friendly, incorporate green features, and use less energy and cost less to operate than older structures. It’s also smart because new buildings meet the current seismic standards. That took on new importance after the 2011 earthquake. However, new homes in Japan depreciate quickly. Buyers’ preference for new dwellings, coupled with Japan’s eight million empty homes and the poor quality of many older buildings means that old homes are demolished and not renovated. That means buyers looking for a “handyman’s special”—a home they can buy cheap and add value by painting and plastering on weekends—are likely to be disappointed. Furthermore there is not much in the way of a do-it-yourself culture in Japan, unlike many Western countries. After the property boom and bust of 1980s and 1990s, it’s not surprising that many people in Japan choose to rent, rather than own their home. Japan’s home-ownership rate is 62%. That is more than Germany, where 53% of people own their homes, but far less than Singapore, at 91%. But that statistic only tells part of the story, because home ownership rates vary widely throughout the county. In some rural areas more than 70% of people own homes. On the other hand, Tokyo has the nation’s lowest proportion of owners, at 45%. A large population of renters, combined with generous rental yields, makes Japan—and particularly Tokyo—an attractive place to be a landlord. That attraction is compounded by the fact that Japanese tenants are stable and tend to move infrequently. Japan’s residential mobility rate is about 21%, versus 41% in Canada and over 50% in the United States. Now let’s talk about financing and mortgages in Japan. If you are a Japanese citizen or a legal resident of Japan, banks will lend you money to buy a primary residence or a second home. It becomes easier—and cheaper—for foreigners to get a loan if they are a permanent resident of Japan or married to a Japanese citizen. Cross-border mortgages are common in many markets. For example, Canadians borrow to buy homes in the United States and U.K. citizens buy holiday homes in France or Spain. In many places, you can also borrow across borders for an investment property. Unfortunately, if you don’t live in Japan, it’s very difficult to get financing for a Japanese property. As of September 2016, I know one finance company that provides mortgages for Hong Kong residents buying Japanese real estate. And there is one bank each from Singapore, Taiwan and Mainland China that lends to their respective nationals. Nonresident buyers are a niche market in Japan. Compared to Japanese nationals, nonresidents pay higher interest rates. Nonresidents also get lower loan-to-value ratios and shorter loan tenors. And because this is not a core market for banks, these mortgages can be withdrawn with little notice. However, there are a couple of financing options for nonresidents buying Japanese real estate. You can mortgage a home that you own outside Japan and use the proceeds to buy Japanese property. If you are buying an entire building, you can form a company and use the company to obtain financing. This is an expensive and time-consuming solution that won’t work for a single apartment. Or you can do what most people do, and pay cash. Speaking of money, unless you are a legal resident you cannot open a bank account in Japan. That means you will have to rely on an agent to pay your bills, collect rent and remit the proceeds to you. Your agent may also be able to file your tax return. Fire and homeowners insurance in Japan are similar to packages available in other countries. But, as in many places, earthquake damage—and the destruction caused by subsequent fires and tsunamis—is excluded from fire insurance policies. Furthermore, in Japan, earthquake insurance is not available as a standalone policy. And there are caps on how much coverage you can buy. In the end, you may decide that earthquake insurance is not worth the cost, given that most of the value in a Japanese home is in the land and not in the structure. Finally, let me tell you about the taxes you will pay when buying Japanese real estate. You pay consumption tax on the price of the building and the agent’s fee. When you buy, there is a relatively small stamp tax and an acquisition tax. And you pay income tax on rental receipts, with the usual range of deductions. What makes Japan distinctive is that there are local, prefectural and national taxes and they are based on no less than five different appraisal systems. These appraisals have little to do with the market price of a property and are conducted on different schedules by the National Tax Agency, the Ministry of Land Infrastructure, Transport and Tourism and by individual municipalities. There are several suspended taxes, and there are plans to raise the consumption tax from its current level of 8% to 10% in 2019. When you sell a property you pay capital gains taxes, which are reduced if you have held the property for more than five years. This is different from Hong Kong, which has no capital gains tax. Similarly, Canada offers an exemption from capital gains taxes when you sell your principal residence. So that’s a brief summary of how buying Japanese real estate differs from other markets. For more information on Japanese and international real estate, please see my books Landed Japan and Landed Global, which are available in both print and ebook editions.